Can South Africa really hold a general election on the 8th of May in a way that it really represents the views of its people? One might have thought this was an academic question. The Electoral Commission of South Africa is well respected and the legal system is robust. 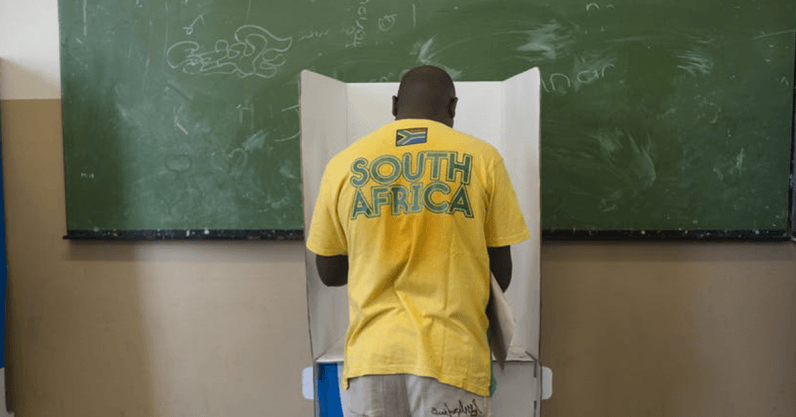 There are certainly enough political parties – around 285 are registered even if most are unlikely to participate in the May elections – for the national and nine provincial legislatures. But there have been worrying signs about the use of disinformation during previous elections and these need to be heeded. Mich Atagana, communications manager of Google South Africa, says their work will involve protection against attacks on websites of political parties, but will also find ways of preventing the spread of disinformation. The company works through a system of “flaggers”, she explained, who are trained to spot misinformation. If they do, they can contact Google which then takes action. We can easily de-monetize the website and take away the ranking. We can make sure it does not show up on Google search. Google will have up to nine staff working on their programme in the run-up to the election. They will be working with sites like Africa Check to allow the public to assess which news is true and which is not. These initiatives are far from a perfect solution. But they are a start, and they are badly needed. During the 2016 local elections the country’s governing party, the African National Congress (ANC), ran a “black ops room” to push out disinformation. The party spent R50 million (£2.75 million) on the operation. Its work included putting out fake posters, purportedly from opposition parties, news sheets delivered door-to-door and planted callers on radio phone-ins. The party also controlled the state broadcaster – the SABC – through its political appointees. This is critical during elections. No other media organisation comes close to reaching the millions of voters in rural areas – particularly in vernacular languages. More covert tactics have been used in the past. A carefully orchestrated disinformation campaign was ruthlessly deployed by the British PR company, Bell Pottinger against anyone who stood in the way of former President Jacob Zuma. Working for his Indian backers, the Gupta brothers, they popularised the term “white monopoly capital”, to attack his opponents. The agency was largely the brainchild of Tim Bell, who earned his reputation helping Margaret Thatcher win three elections. It was only after the internal workings of the agency were exposed in the South African media that the firm was finally driven out of business and forced into administration. Google will train about 100 journalists by the time of the election. South African freelance journalist Carien du Plessis said when I interviewed her recently that even if websites are brought under control it will not halt the problem. This case highlights the increasingly worrying menace of social media backed by sophisticated technology being used to manipulate public opinion with fake information. South Africa is by no means the only African country suffering from cyber-attacks. Russian and Ukrainian firms are said to have targeted several governments and private companies, in search of lucrative contracts. The Zimbabwean government is reported to have used private data to target citizens with Tweets and text messages. And five operators have been identified using Spyware to try to influence the public from Morocco to Mozambique. If Africa’s fragile democracies are to survive they will need all the help they can get to resist aggressive predators on the internet and social media. This article is republished from The Conversation by Martin Plaut, Senior Research Fellow, Horn of Africa and Southern Africa, Institute of Commonwealth Studies, School of Advanced Study under a Creative Commons license. Read the original article.